Most of the Constitutions around the world have a Preamble. It is considered to be an important and popular feature of a written constitution. 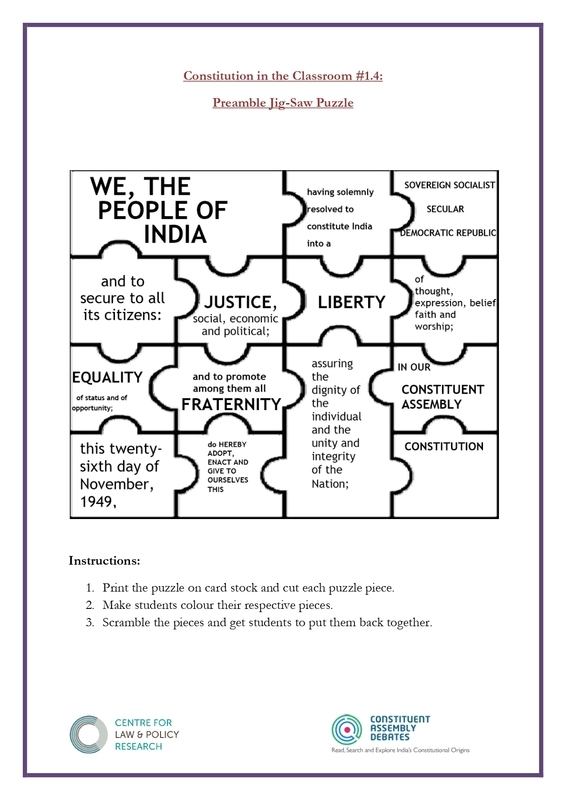 Preamble to the Indian Constitution is an eighty five worded preface. It is seen as a declaration which provides for or enacts a constitution: a reflection of the core constitutional values that embody the constitution. Through the Preamble, our framers have provided for ‘fundamentals accepted by everyone’ which are ‘essential features of a new state’ - they sought to confirm India’s ideals, hopes and aspirations. Preamble does not grant substantive rights and is not enforceable in the courts, but it is crucial to understand the constitutional interpretation of the subsequent provisions. Various Indian courts have engaged with the Preamble and have treated it to be the “guiding light” to interpret the Constitution.